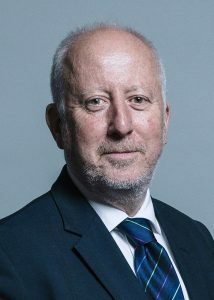 Andy McDonald MP, Labour’s Shadow Transport Secretary, will visit Harwich International Port today (Thursday 31 January) to meet port workers and businesses preparing for Brexit, and to ask about their plans to protect short sea services in and out of Harwich in the event of a ‘no deal’ Brexit. The Shadow Transport Secretary will consult port staff on their customs facilities and discuss the port’s capacity to take ‘roll on, roll off’ traffic if this has to be rerouted from Dover after 29 March. McDonald will also meet Harwich Labour councillors to discuss the potential impact of additional lorry traffic on the town’s transport system. On the agenda for the meeting are the poor state of the A120 trunk road. “This port has been starved of investment for years, the A120 has been left to rot because the Conservatives have cut both council and central spending, and now suddenly the Tories are demanding Harwich save them from the effects of their disastrous ‘no deal’ plans.